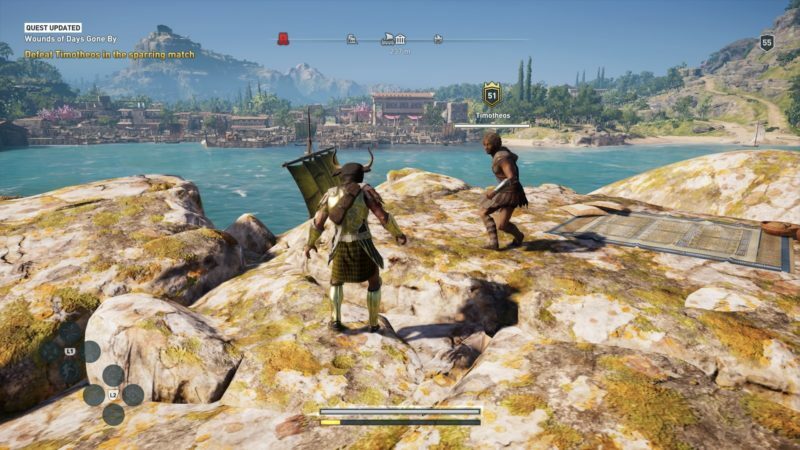 Wounds of Days Gone By is a quest under the Lost Tales of Greece in Assassin’s Creed Odyssey. 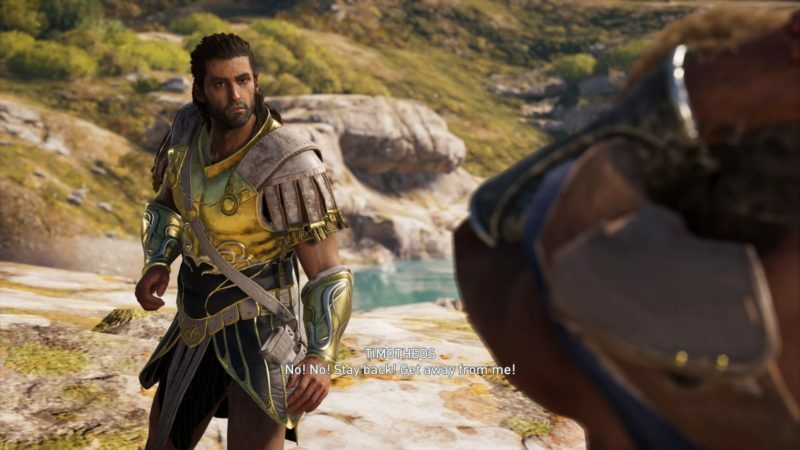 Your task is to meet up with Timotheos and have a sparring session with him. 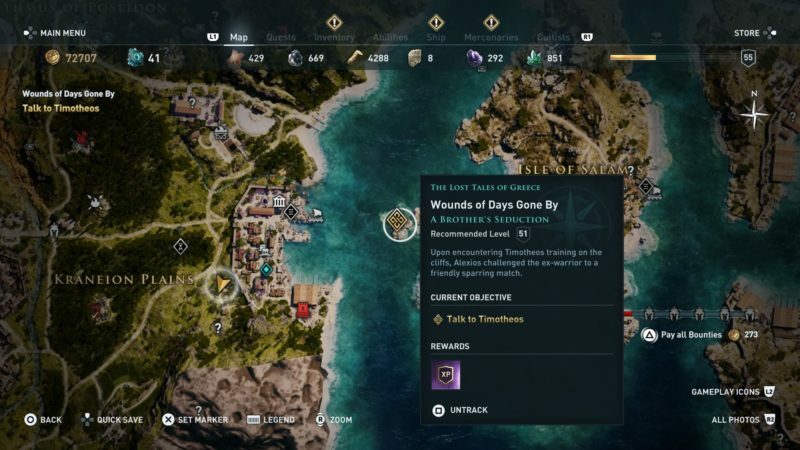 Here’s a walkthrough of Wounds of Days Gone By in AC Odyssey. 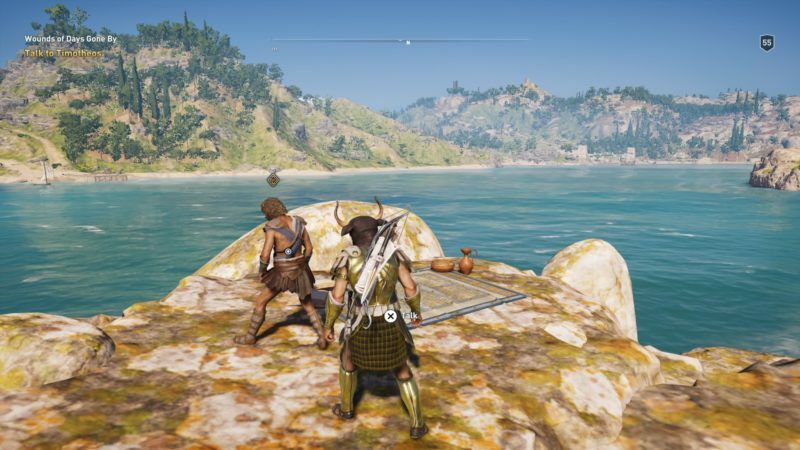 Your first objective is to look for Timotheos on a small island. 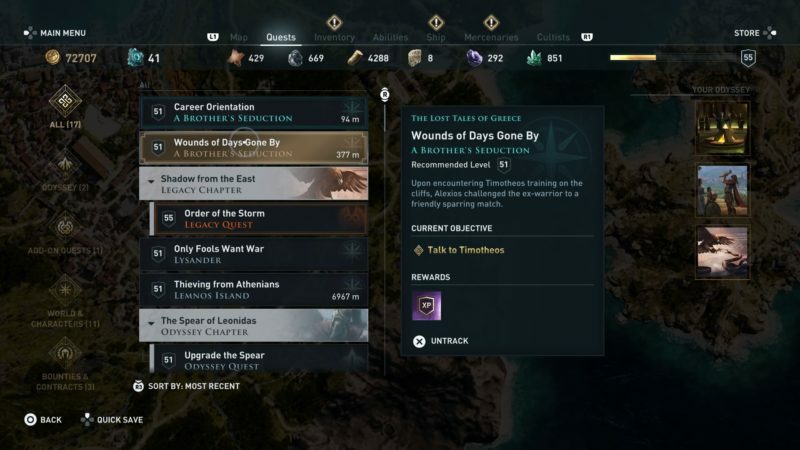 His exact location is shown in the map below, marked as the quest symbol. 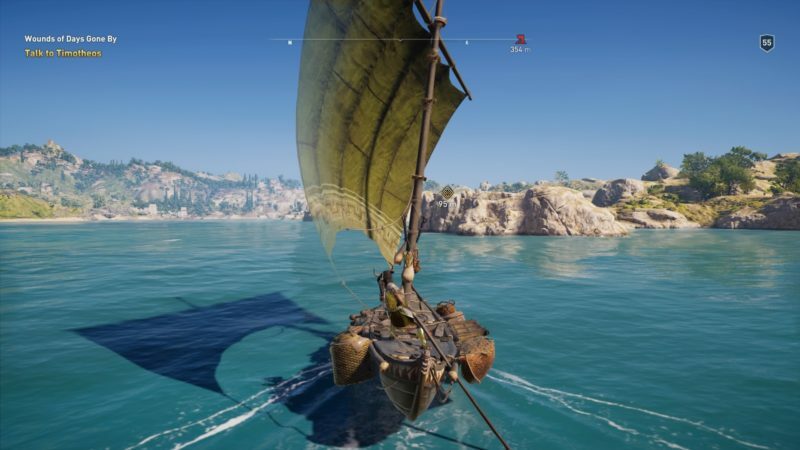 You can grab a small boat near the coast and row to the island. Otherwise, you can swim but it takes time. 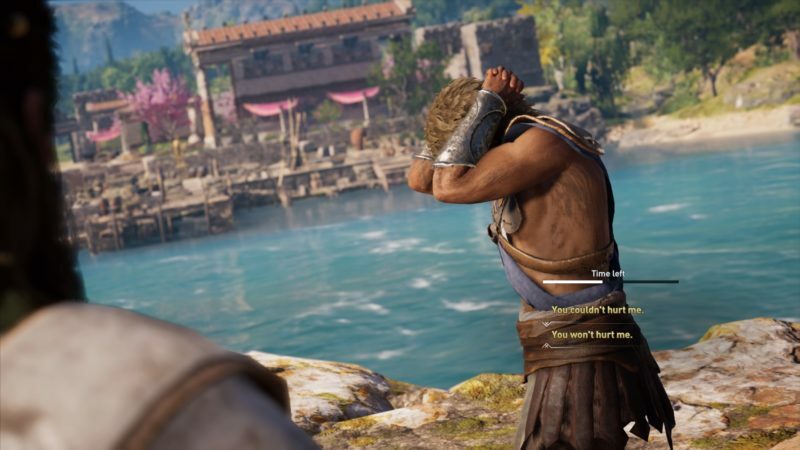 Alexios will then challenge him to a duel. This match purely uses fists, and he isn’t much of a challenge. Just punch him until he loses. 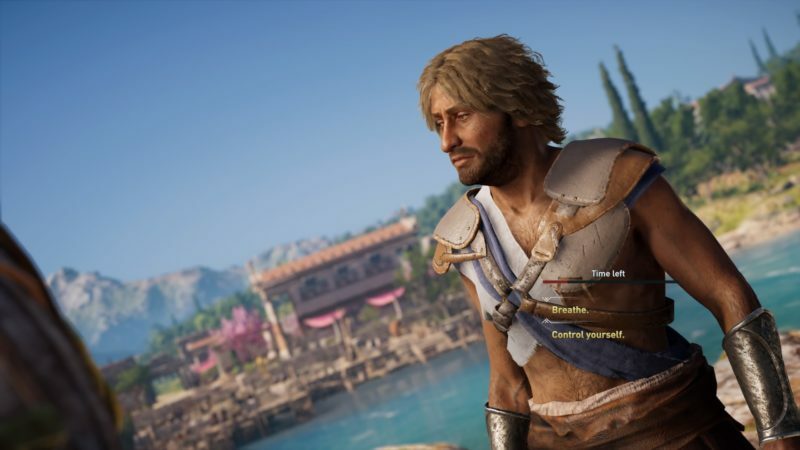 A cutscene will then load, which shows that Timotheos is still suffering from war effects. There will choices to make during the conversation. They are all time limited. I chose “Let me help” for the first one. For the second one, I chose “You won’t hurt me”. 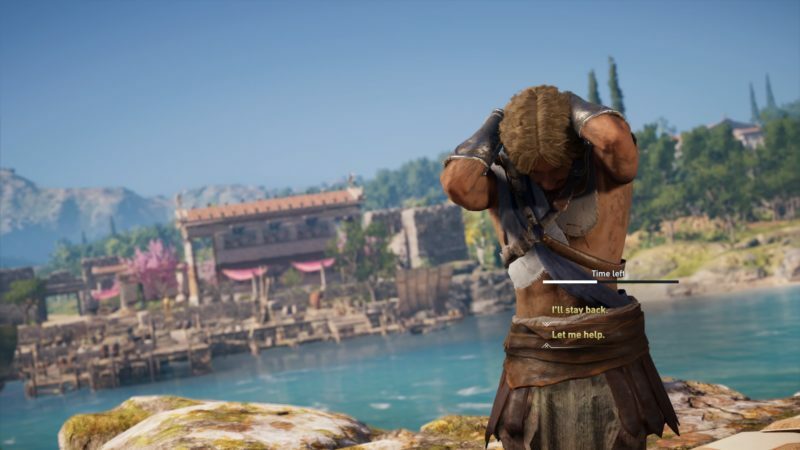 As for the third part, I chose the option “Breathe”. I’m not sure if they were the right choices, but it seemed okay. 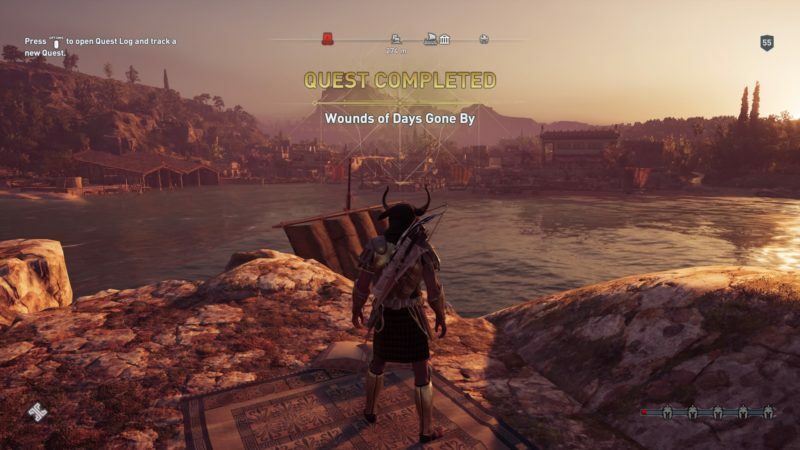 The quest completes after the cutscene.